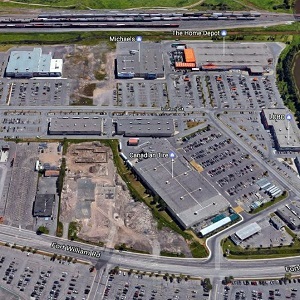 Partners REIT (PAR.UN-T) says it has an unconditional agreement to sell the Thunder Centre retail power centre in Thunder Bay, Ont., for $39.75 million. The buyer was not disclosed in a Partners release to announce the sale. The transaction is expected to close on June 30. The Thunder Centre is located at 399 Main St., in Thunder Bay. It was built between 2004 and 2007 and acquired by Partners REIT in 2012. The 168,087-square-foot power centre is comprised of two big-box stores and five multi-tenant retail strips located in what Partners calls the “primary retail node” within the city. Partners lists its anchor tenants as Home Outfitters, Michaels, Old Navy, Marks’ Work Wearhouse, Dollarama and an LCBO outlet. They comprise more than 60 per cent of the leasable floor space. The Thunder Centre is located adjacent to the Intercity Shopping Centre. Thunder Bay has a population of just under 110,000, according to the Canada 2011 census. Partners said the proceeds will repay an outstanding $26.7-million mortgage on the property and estimated closing costs of $900,000. Net proceeds are approximately $12.2 million. BMO Capital Markets Real Estate Inc. acted as adviser to Partners on the transaction. Partners REIT focuses on the expansion and management of a portfolio of 35 retail and mixed-use community and neighbourhood shopping centres. The properties are located in both primary and secondary markets across British Columbia, Alberta, Manitoba, Ontario, and Quebec. Together, they comprise approximately 2.5 million square feet of leasable space.